Looking for a convenient place to store your phone, wallet, keys and other smaller items? Then the Komine SA-053 Riding Leg Bag could be the answer for you. The 3.6 compartment sits at the top of the thigh and wraps around the waist and leg to keep out of your way when riding. 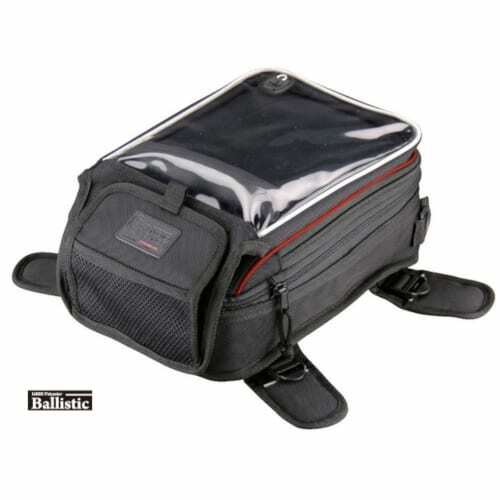 Made from 600D Ballistic polyester and synthetic leather as well as reflective features, its a great value riding bag. 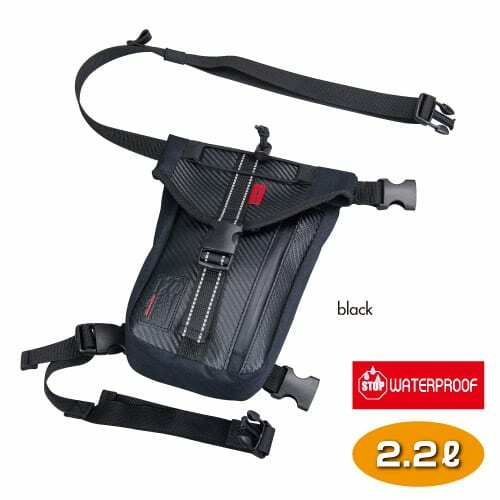 Komine SA-222 Waterproof Motorcycle Hip Bag is a great option for storing your wallet, keys, phones, valuables or important documents that you can not afford to get wet when you get caught out in the rain on your commute. The 420D nylon TPU coated seamless construction, with rolltop design means that you'll have a reliable waterproof compartment for many rides to come. The stylish black design comes with a reflective feature to make sure you are seen on the road. Another quality Komine product. 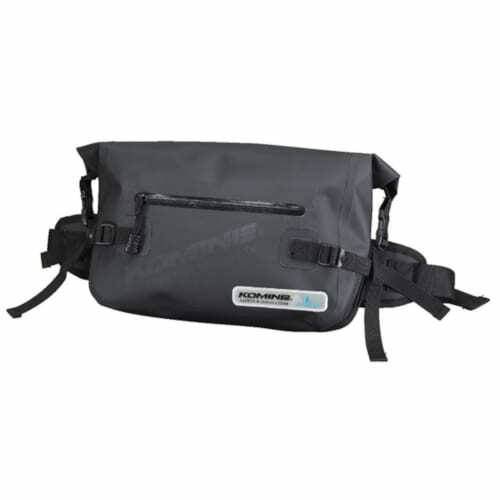 Komine's SA-211 Waterproof Leg Bag is popular choice amoung riders for keeping your valuables safe and dry when out on the bike. The 2.2 liter storage pouch is made from Welded waterproof liner and is equipped with reflective qualities to be seen on the bike. This is a great, high-quality leg bag. 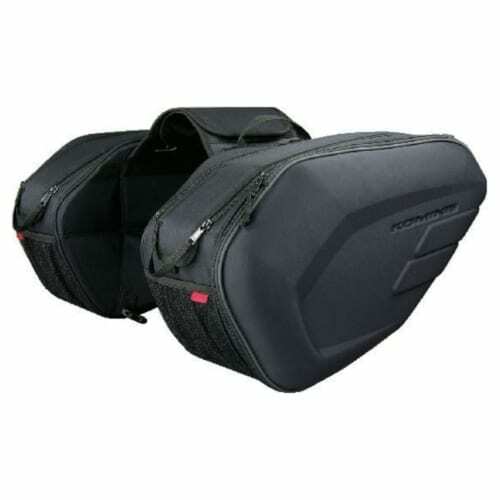 Komine SA-212 Moulded Motorcycle Saddle Bag EXP is a great way to store your items while out on the bike. The easy clip system allows you to easily remove the bags once at your destination. The zipper expansion system allows you to increase the volume from 36l to 58l and the EVA molded panel works to retain the shape. It comes with straps and rain cover included. 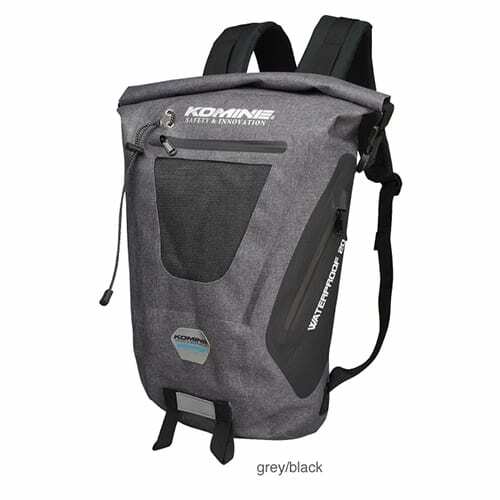 Carry your kit around without wreaking the look of your bike with the Komine SA-212 saddle bag. Komine SA-214 Magnetic Motorcycle Tank Bag is just the right size for a basic tank and its strong magnetic attachments make it great for touring and commuting. The zipper expansion feature can change the 5.2l capacity to 7.8l in just a few seconds and the clear vinyl top gives easy visuals for GPS and navigation aid. Durability comes standard thanks to the 1680D polyester ballistic construction and the included rain cover keeps your items dry when the rain comes. The Komine SA-214 reflective piping helps you be seen and is a convenient and flexible way of storing your valuables. The Komine SA-236 Waterproof Backpack 20 keeps your belongs dry and safe when on your daily commute. It is constructed with 600D polyester and the TPUCoating fabric by welding treatment gives its waterproofing capabilities. If you want to add a CE back protector to the setup then you can with its pocket with shock absorbing pad, which is also great for storing your laptop. This seamless backpack also features a reflective panel to keep you see while on the bike. Komine's SA-236 is a stylish backpack that can be used on the bike or just a day to day reliable pack. Komine's SA-200 Waterproof Riding Bag 30 is wade with Welded waterproof liner and is constructed seamlessly to keep your valuables dry when you get caught riding in the wet. The 30L capacity makes it a good sized storage compartment but not too big where it becomes difficult to use as a backpack. 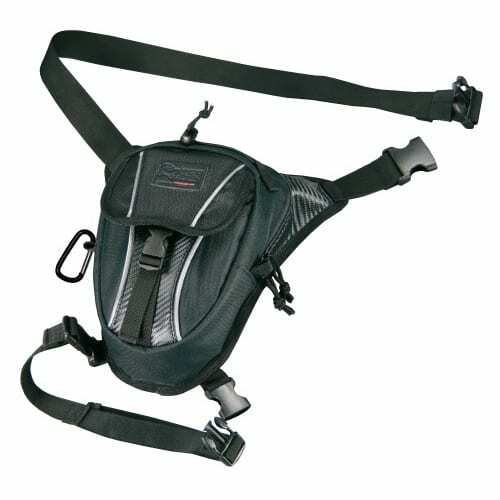 The shoulder straps have the option of being covered up, when attached to the bike, or available when you want use it as a backpack. The waterproof bag attaches to your bike with use of your own bungy cables or tie downs and it also offers reflective qualities so you can be seen on the road. 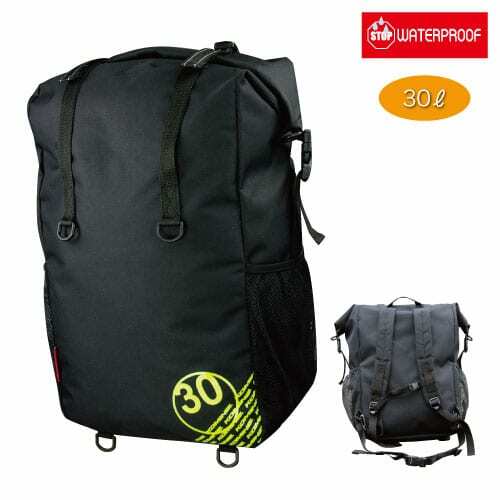 Keep your valuables dry with Komine's SA-200 30l bag that can use for many activities in life.